Helping someone who has a broken finger or thumb requires the right materials and accessories. Allegro Medical offers a range of options when it comes to broken finger splints and thumb splints, including Stax finger splints, Darco toe alignment splints, night splints, Bunnell finger knuckle bender, and wrist splints for fractures. 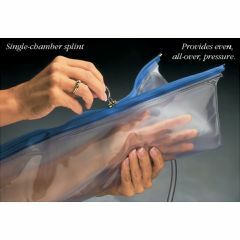 We have a wide and varied range of products and accessories available for you at AllegroMedical.com. Best of all, we have the lowest prices around. Check out the Best Price Guarantee that we offer. Forma-Splint "Little Splint" Splint Bath, 16x11x6"